Ahead of Child in the City International Seminar in Antwerp we present the second part of our interview with one of the seminar’s keynote speakers, Annika Skoglund. 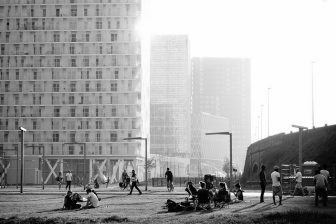 In this article Skoglund discusses the ways in which children are included and excluded in shaping sustainable cities. 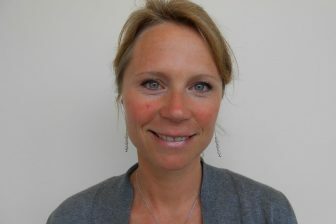 Annika Skoglund is Associate Professor at Uppsala University, Sweden and The University of Exeter. She is co-authoring a book (with Steffen Böhm) titled “Renewable Energy Activism – bridging between business and society”, to be published by Cambridge University Press. It will be available in 2020. How has the discussion and activism around climate change changed in the past 5 years? What do you predict will happen in the next 5 to 10 years? What effect if any has social media had on this? Activism overall has become more dispersed and diffuse due to digital social media and that people have less time to spend on street demonstrations, which also has had an effect on climate change activism. Climate change activism has additionally and in comparison to many other activisms a very material component attached to it, in that you, as an individual, is asked to do things with your own hands in the here and now, often prefiguratively and collectively. Hence, activism has during the last five years been criticised for being less edgy, radical and transformative. At the same time, during the next five to ten years I think we will see that this everyday and more mundane form of activism will lead to incremental changes in the here and now, first prefiguratively, but then more materially. How can cities give children a voice in creating sustainable policies? One can be more or less radical when answering this question. One answer would be the one promoting that children and youth were given the right to vote in democratic elections, just as adults. They would then be able to participate in decisions that lead up to who would be an active policymaker and not, for their city. It would actually not surprise me if the age for legal democratic participation, which is 18 in many democracies, would be lowered in the future. Or children and youth will start to pressurise adults in less comfortable ways, via digital social media, or by skipping mandatory school and demonstrate in the streets. 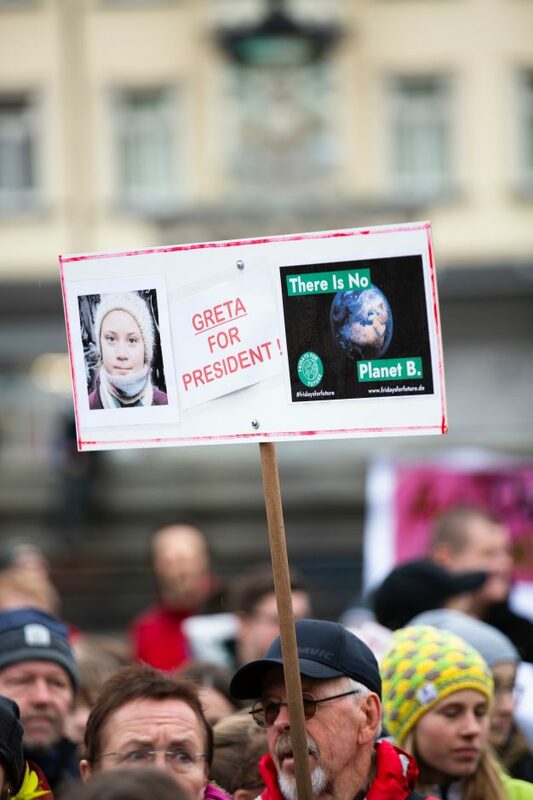 Think about the teenage girl Greta Thunberg for example, she is voicing her concerns openly. In the beginning she did so without adult political support that nurtures children’s ‘voicing’, but now she does so with increased adult political support that seeks to accommodate her concerns and make her part of the structured political system. In other words, her radical politics has been co-opted by adults to become less contentious. Animals have also been suggested to be given a proper democratic voice, with animal rights organisations who argue that the animal kingdom, and specifically pets living in cities, should be given an equal voice to humans. Upon inclusion of these two categories, children and animals, in the democratic political system, the organisations that protect and speak for them will inevitably become less useful and powerful. In the case of children’s rights, children would however be considered to have more of a ‘voice’ themselves, since they actually can speak. When the issue is less about giving them a voice, the question will become more about the actual content of their voicing, and how to regulate that specific content. 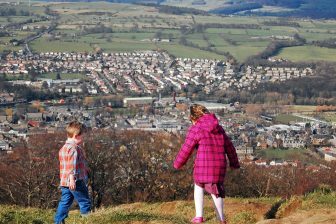 What is the biggest challenge to building sustainable child-friendly cities at the moment? It is difficult to point out the challenge that is the biggest. A common answer to this question is nevertheless the different interests at play, where the economic, the green and the social is hard to unite, a possibility that sustainability perhaps too naively implies. The economic element has historically been prioritised since it delivers social security, and it is increasingly invoked not only by the corporate sector, but by the state and its citizens who are demanded to become enterprising and entrepreneurial. Designing and constructing green rooftops to cover complete cities might however be less of an investment problem, and more about a lack of imagination. Another big challenge that is less discussed in regards to practical implementations of sustainability is that we do not really know what will lead to something considered ‘sustainable’. The precautionary principle has been more focused on the present risk of climate change, than the future risk of the new solutions. The current shift to electrical vehicles is but one example of a potential future problem, if not already closing in on being unsustainable. Sustainability is thus a notion that is much harder to act on, in comparison to ‘child-friendly’. Some academics who debate what is sustainable and not, do for example suggest that we should reproduce less and have as few children as possible. A sustainable city would according to these voices be a city without that many children, perhaps hosting more of other less cultural creatures instead. But this is not really a ‘child-friendly’ city, is it? What are the most critical changes that we must make to face the future effectively? I am sorry, but I cannot give any insightful answer to this question. One answer that has been proposed in the academic community is that we all should get increasingly connected, to the point of being totally embedded, in the ecosystem. That would be the most effective path to adaptation and resilience, which is what the future demands, they say. What is of crucial importance to me here is nevertheless that we do not forget what it is to be human, with our ability to err and singular capacity to connect and disconnect as we wish. I thus think the change we are asked to go through somehow needs to be considered in light of this anthropocentric view, remembering how it is to lead a life as a political subject, i.e. human. How can cities best support children’s effort in making their cities sustainable? I think cities could become more sensitive to acts of ‘juvenocracy’, i.e. when children and youth seek to govern adults. With the transformation of the environmental movement this is a growing phenomenon in many countries. Cities will thus need to balance between a will to make sustainable, and a will to rule, amongst its young denizens. The limit to child and youth influence is currently undergoing active negotiations. What are common misconceptions people have about climate change and sustainability? How can we combat these misconceptions and communicate more effectively? One misconception held by climate sceptics is that climate scientists underperform, and are not engaging in traditional scientific scepticism and reflections about their fact construction. If you read the IPCC reports, however, the authors are highly sceptical about the exact implications of the knowledge and potential truths they produce via scenarios and causal models. When this uncertain knowledge of climate change has been politically translated into the solution of sustainability, a polarised picture has been furthered, and even more so with popular culture. Hence, a misconception amongst people is that climate change and sustainability is ‘either or’, a truth or a non-truth, where you have to take a stand, for or against. This is a serious misconception, and it should be communicated to people that they are allowed to be more complex themselves, in taking more considered and reflective standpoints in relation to such a complex problem as climate change. Generally, I think that any misconceptions that rely on polarised views of the world should make us worried and more thoughtful. I think people should do their own studies to a larger extent, rather than relying on what others have written. In the case of children and sustainability, for example, this means that anyone could take a step back and look at the phenomenon from a distance. After taking a distance, they could nurture the ability to pose new questions about what they see and hear. So the best resource, I think, is yourself and how you manage to relate to others and think together with others. There is no resource that can help you with this, it needs practice and I am sure most of the readers already do this on a daily basis. The trick is however to be never ending curious and thus unleash the power to pose new questions about the world, and most importantly, about yourself in a future world. Is there anything we’re leaving out here that needs to be addressed? How children’s will to make the world more sustainable is utilised by various actors, often for commercial needs, such as energy suppliers. 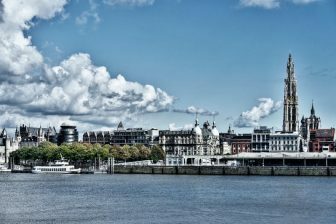 Annika Skoglund’s keynote presentation at the Child in the City International Seminar in Antwerp is on Monday May 20, starting at 14:07. There is still time to book your place – view the full programme and register here.